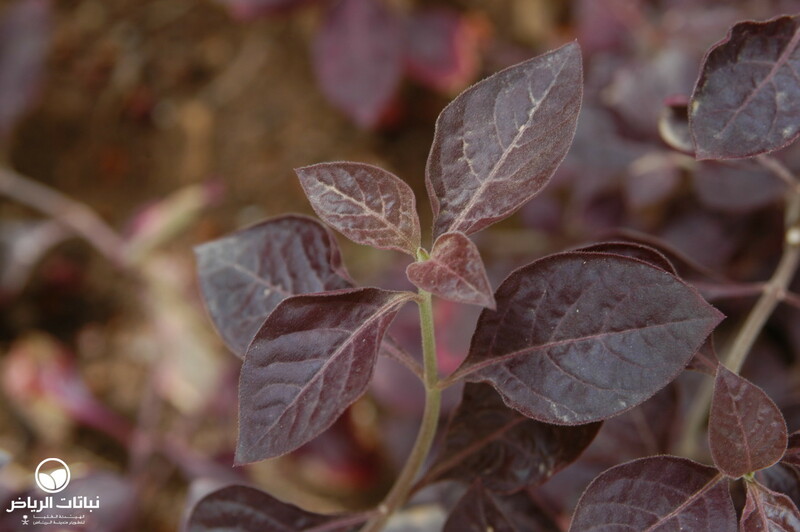 The Bloodleaf, picturesquely named after the colour of its leaves, is a surprisingly robust perennial herb, native to Brazil, and grows well in Arriyadh, where it is often seen as a groundcover in parks. 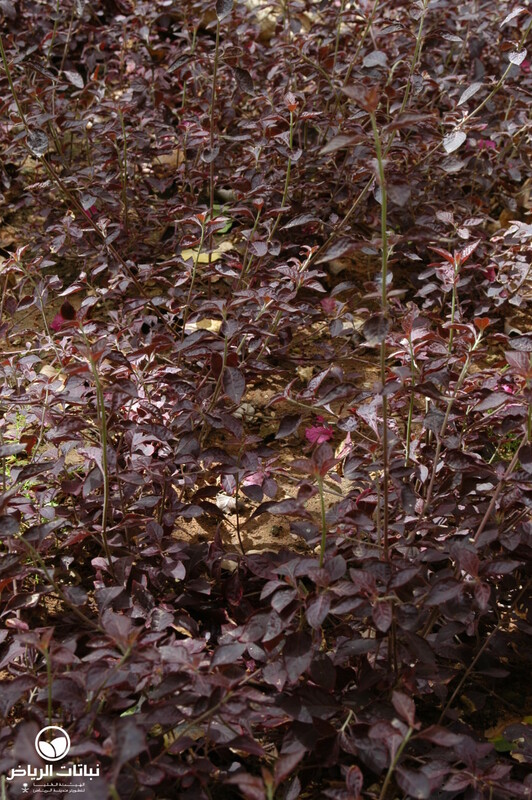 This is an evergreen, herbaceous plant, growing to about 1 m tall and wide. 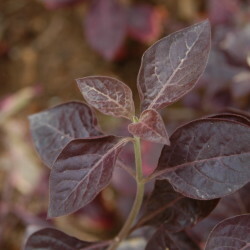 It has oval, sometimes almost circular, leaves, 2 to 6 cm long, pointed at the tip, with pronounced light red veins. 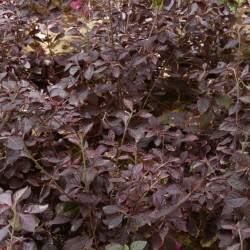 Bloodleaf is planted for its varieties, which can have startling colours and markings, ranging from purple to bright reds, magenta and orange. There are also some green varieties. The small, woolly, mostly white flowers are usually inconspicuous. 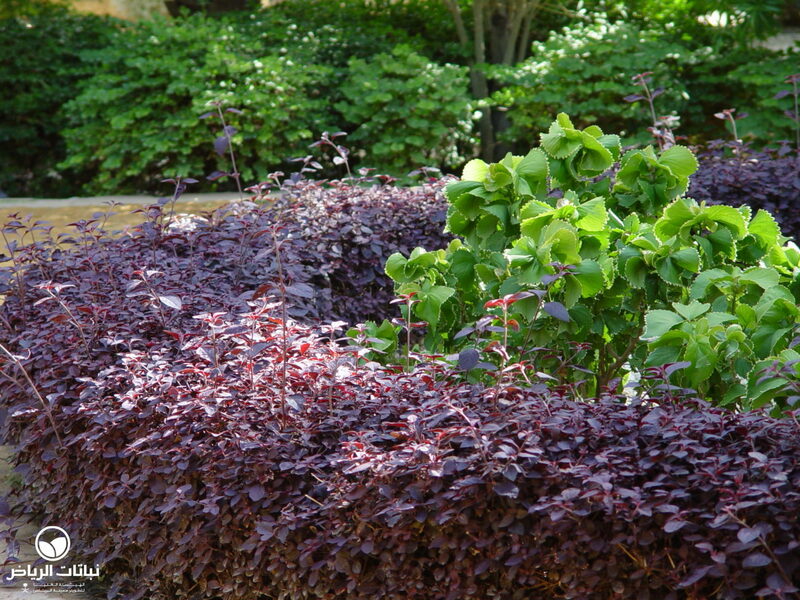 Good in bright sunlight, they are also attractive in light shade. I. herbstii is damaged by temperatures below freezing, and a sheltered spot is beneficial. The spectacular show of foliage colour is shown throughout the season. 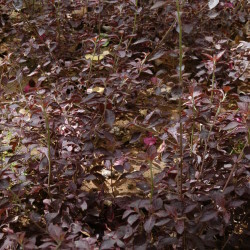 Plants prefer fertile soil, but will also grow in sandy soils with good drainage as long as they are not saline. They require regular and copious watering. Easily propagated by cuttings, which root quickly in water, plants can suffer from aphids. 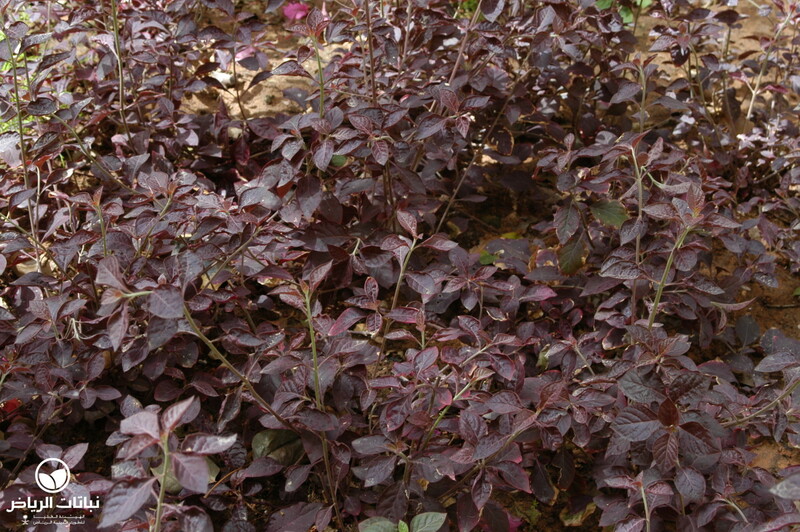 Bloodleaf is a highly ornamental plant, popular for its colour and as a groundcover and border plant. It is also often seen as a pot plant. 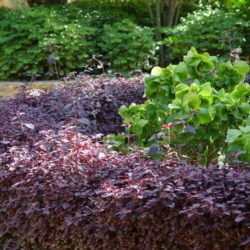 Maintenance requirements are low, but weeding between plants and edge trimming may be necessary.